Alex Amouyel is the executive director of Solve, an MIT initiative. Solve is a community of cross-sector leaders devoted to identifying and supporting solutions to actionable challenges through open innovation. Previously, Alex was the Director of Program for the Clinton Global Initiative, where she curated the content for the Annual Meeting. She also worked for Save the Children International in London and across Asia, the Middle East and Haiti, and at the Boston Consulting Group. Alex holds a double master’s degree from Sciences Po, Paris, and the London School of Economics, and a bachelor’s degree from Trinity College, Cambridge. Charlie Baker was inaugurated as the 72nd Governor of Massachusetts on January 8, 2015. Since taking office, he has been making Massachusetts a great place to live, work, and raise a family, while delivering a customer service–oriented state government that is as hard working as the people of the Commonwealth. 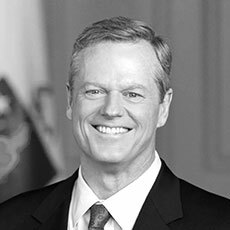 Upon taking office, Governor Baker worked to close two budget gaps worth more than $2 billion without raising taxes, while bolstering local aid for schools and communities, investing in a more reliable public transportation system, and prioritizing funds to fight the opioid and heroin epidemic. Governor Baker has supported robust business sectors by reforming the Commonwealth’s regulatory environment, holding the line on taxes, and advancing efforts to rein in energy costs. Prior to his election, Governor Baker was a successful leader of complex business and government organizations, serving as a cabinet secretary to both Governor William Weld and Governor Paul Cellucci. He was also the CEO of Harvard Pilgrim Health Care. Sir Tim Berners-Lee is the 3Com Founders Professor of Engineering at MIT and a principal investigator at the Computer Science and Artificial Intelligence Laboratory. He also holds a professorship at Oxford University. Berners-Lee conceived of the World Wide Web in 1989 at the European Organization for Nuclear Research. He is the founder and director of the World Wide Web Consortium and the World Wide Web Foundation. Berners-Lee is also the cofounder and president of the Open Data Institute and the cofounder and CTO of Inrupt. He was named a Fellow of the Royal Society in 2001; dubbed a Knight Commander, Order of the British Empire by Her Majesty, Queen Elizabeth II in 2004; and honored by the Association for Computing Machinery with the A.M. Turing Award in 2017. Berners-Lee is a long-time defender of net neutrality and the openness of the web. 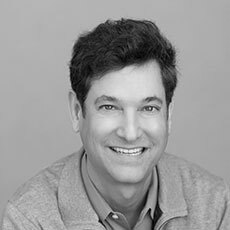 Jim Breyer is the founder and CEO of Breyer Capital, a venture capital firm based in Menlo Park, CA. He has invested in over 40 companies that have successfully completed public offerings or mergers, including Facebook, Etsy, Legendary, Datalogix, and Marvel Entertainment. As a lead investor and/or board member, he has assisted teams at more than a dozen companies complete an initial public offering. Over the last several years, Breyer has made numerous investments in artificial intelligence and human-assisted intelligence technologies. He serves on the board of directors of the Blackstone Group and 21st Century Fox. 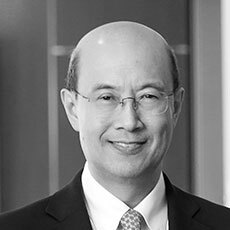 He is a Harvard Corporation Fellow and chair of the Tsinghua University School of Economics and Management Advisory Board. He earned a BS from Stanford University and an MBA from Harvard University. 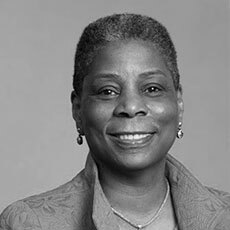 Ursula Burns is the executive chairman and CEO of VEON, Ltd., a leading global provider of connectivity and internet services headquartered in Amsterdam. Previously, she was the chairman of the board of the Xerox Corporation from 2010 to 2017 and CEO from 2009 to 2016. Burns, who regularly appears on Fortune’s and Forbes’s list of the world’s most powerful women, is a board director of Exxon Mobil, Nestlé, and Uber. 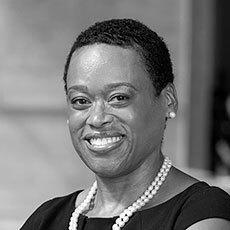 She also provides leadership counsel to several community, educational, and nonprofit organizations, including the Ford Foundation, the Board of Overseers for Cornell Tech, the New York City Ballet, and the Mayo Clinic. She is a life member of the MIT Corporation. Burns is a member of the National Academy of Engineers and the American Academy of Arts and Sciences. She holds a BS in mechanical engineering from Polytechnic Institute of New York University and an MS in mechanical engineering from Columbia University. Ash Carter is the director of the Belfer Center for Science and International Affairs at the Harvard Kennedy School. He is also an Innovation Fellow at MIT. For over 35 years, Carter has leveraged his experience in national security, technology, and innovation to defend the United States and make a better world. He has done so under presidents of both political parties as well as in the private sector. As the 25th Secretary of Defense from 2015 to 2017, Carter pushed the Pentagon to “think outside its five-sided box.” He changed the trajectory of the military campaign to deliver ISIS a lasting defeat, designed and executed the strategic pivot to the Asia-Pacific, established a new playbook for the US and NATO to confront Russia’s aggression, and launched a national cyber strategy. Carter also spearheaded revolutionary improvements to the Department of Defense, developing new technological capabilities, leading the “Force of the Future” initiative to transform the way the department recruits, trains, and retains quality people, opening all military positions to women, and building bridges to America’s technology community. He is a fellow of the American Academy of Arts and Sciences, a board member of the Council on Foreign Relations, and a member of the Aspen Strategy Group. Carter is a member of Delta Airlines’ board of directors and advises the MITRE Corporation and Lincoln Laboratories on technology matters. He earned a BA from Yale University and a PhD in theoretical physics from the University of Oxford, England, as a Rhodes Scholar. 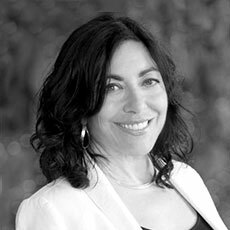 Jennifer Chayes is technical fellow and managing director of Microsoft Research New England, New York City, and Montreal. She was previously a professor of mathematics at the University of California at Los Angeles. She is the author of over 140 academic papers and the inventor of over 30 patents. 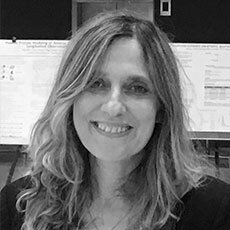 Her research areas include: phase transitions in computer science, structural and dynamical properties of networks, graph theory, graph algorithms, and computational biology. Chayes is one of the inventors of the field of graphons, which are widely used for the machine learning of large-scale networks. Her recent work focuses on machine learning, broadly defined, including applications in cancer immunotherapy, ethical decision making, and, most recently, climate change. Chayes is a fellow of the American Association for the Advancement of Science, the Fields Institute, the Association for Computing Machinery, the American Mathematical Society, and the American Academy of Arts and Sciences. Chayes has received numerous leadership awards, including the Anita Borg Institute Women of Vision of Award and the Mass Technology Leadership Council Distinguished Leader Award. She is the winner of the 2015 John von Neumann Lecture Award, the highest honor of the Society for Industrial and Applied Mathematics. Chayes received an honorary doctorate from Leiden University in 2016. Munther A. Dahleh is the director of the Institute for Data, Systems, and Society and the William A. Coolidge Professor of Electrical Engineering and Computer Science at MIT. He was previously the associate head of the Department of Electrical Engineering and Computer Science, the associate and acting director of the Laboratory for Information and Decision Systems, and the acting director of the Engineering Systems Division. Dahleh is interested in networked systems with applications to social and economic networks, transportation networks, neural networks, and the power grid. His recent work focuses on market design for digital goods and services. He is the co-author of Control of Uncertain Systems: A Linear Programming Approach and Computational Methods for Controller Design. Dahleh was named an IEEE Fellow and honored with the International Federation of Automatic Control Fellow Award. He earned a PhD in electrical and computer engineering from Rice University. Jocelyn Goldfein is a managing director at Zetta Venture Partners where she invests in AI-first startups with business-to-business models. She is a widely recognized industry expert on product strategy, infrastructure, and organizational scale. Her career as an engineering leader spans from early stage startups to high-growth years at Facebook and VMware. During her tenure at Facebook, she helped convert the News Feed to machine learning and spearheaded the transition to a “mobile first” product organization. As an early engineer at VMware, she built core virtualization technology and ultimately created and led the company’s Desktop Business Unit. Goldfein has also held engineering and leadership roles at various startups, including Datify, MessageOne, and Trilogy/pcOrder. She has a passion for STEM education, serving on the Board of Trustees at Harvey Mudd College and as a visiting lecturer at Stanford University, where she earned a BS in computer science. 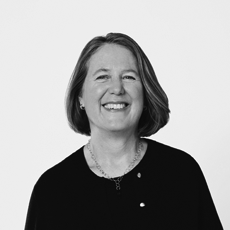 Diane Greene is a director of Alphabet, SAP, and Stripe. She was the founding CEO of Google Cloud where she spent from 2016 to 2019 building the multibillion-dollar enterprise business within Google. 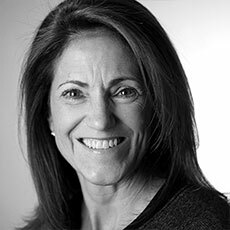 Prior to Google, Greene cofounded and ran three technology companies, including VMware, which she took public at a $19.1B valuation; VXtreme, bought by Microsoft; and Bebop, bought by Google. Before that, she worked as a naval architect. In addition to her board roles, she is a lifetime member of the MIT Corporation and served on the board of Intuit from 2006 to 2017. She is also a member of the National Academy of Engineering and was the 1976 Women’s National Dinghy Champion. Greene earned a BS in mechanical engineering from the University of Vermont, where she also holds an ScD; an SM in computer science from the University of California at Berkeley; and an SM in naval architecture from MIT. Helen Greiner is the cofounder of iRobot, serving as president from 1990 to 2004 and chairman from 2004 to 2008. During her tenure, she guided iRobot into its position as a global leader with the release of the Roomba, PackBot, and SUGV military robots. She also led the company’s financing efforts, raising $35M in venture capital for a $75M initial public offering. Greiner is also the founder of CyPhy Works, a drone company delivering aerial platforms to defense and commercial markets. A member of the National Academy of Engineering, Greiner holds honorary degrees from Worcester Polytechnic Institute and Clarkson University. Greiner earned a BS in mechanical engineering and an SM in computer science from MIT. Drew Houston is the cofounder and CEO of Dropbox. Since founding the company in 2007 with Arash Ferdowsi, Houston has led the company’s growth from a simple idea to a service used by 500 million people around the world. Drew earned a BS in electrical engineering and computer science from MIT in 2005. After graduating, he turned his frustration of carrying USB drives and emailing files to himself into a demo for what has became Dropbox. Today, Dropbox is one of the world's leading business collaboration platforms, with over 12 million paying subscribers and 1,800 employees across 12 global offices. Joichi "Joi" Ito is director of the MIT Media Lab, professor of the practice of media arts and sciences at MIT, and a visiting professor of law from practice at the Harvard Law School. He previously helped create a number of internet companies and was an early-stage investor in Twitter, Kickstarter, littleBits, Formlabs, and other startups. He serves on the boards of PureTech Health, The New York Times Company, The MacArthur Foundation, and Knight Foundation. Ito earned a PhD from The Keio University Graduate School of Media and Governance in 2018 for his thesis, The Practice of Change. Dina Katabi is the Andrew and Erna Viterbi Professor of Electrical Engineering and Computer Science at MIT, director of the Networks@MIT research group in the Computer Science and Artificial Intelligence Laboratory, and director of the Center for Wireless Networks and Mobile Computing. She works on new technologies and machine learning models for digital health, the internet of things, and smart environments. Katabi is a member of the National Academy of Engineering, and she received a MacArthur Fellowship for her innovative technologies. She earned an SM and a PhD in electrical engineering and computer science from MIT. John E. Kelly III is an executive vice president at IBM, where he is focuses on investments in enterprise artificial intelligence, cloud, security, and emerging technologies. He is also responsible for the company’s Intellectual Property team. Previously, Kelly spent seven years as the senior vice president and director of IBM Research, expanding its global footprint by adding four new labs and creating a network of approximately 3,000 scientists and technical employees across 12 laboratories in 10 countries. Kelly has also served as the senior vice president of Technology and Intellectual Property and as the senior vice president and group executive for IBM’s Technology Group, where he was responsible for the development, manufacturing, and marketing of microelectronics and storage technologies, products, and services. 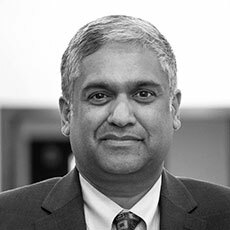 He is a member of the National Academy of Engineers, a fellow of the Institute for Electrical and Electronics Engineers, and has received numerous technology and leadership awards. Kelly earned a BS in physics from Union College and an SM in physics and a PhD materials engineering from Rensselaer Polytechnic Institute. Henry Kissinger was the 56th Secretary of State of the United States from 1973 to 1977 and the 1973 Nobel Peace Prize Laureate. He also held the position of assistant to the president for national security affairs from 1969 until 1975. At present, Kissinger is the chairman of Kissinger Associates, Inc., an international consulting firm. He is also a member of the International Council of JPMorgan Chase & Co; a counselor to and trustee of the Center for Strategic and International Studies; an honorary governor of the Foreign Policy Association; and an honorary member of the International Olympic Committee. He is also a trustee emeritus of the Metropolitan Museum of Art; a director emeritus of Freeport-McMoRan Copper and Gold Inc.; and a director of the International Rescue Committee. Dr. Kissinger received the Bronze Star from the US Army in 1945; the Presidential Medal of Freedom in 1977; and the Medal of Liberty in 1986, among other honors. He earned a BA, an MA, and a PhD from Harvard University. Robert S. Langer is the David H. Koch Institute Professor at MIT. He has written over 1,400 articles and has over 1,300 issued or pending patents worldwide. His patents have been licensed or sublicensed more than 350 pharmaceutical, chemical, biotechnology, and medical device companies. Langer is one of only four individuals to receive both the National Medal of Science and the National Medal of Technology and Innovation. He was also honored with the Millennium Technology Prize, the Charles Stark Draper Prize, the Priestley Medal, the Wolf Prize in Chemistry, the Breakthrough Prize in Life Sciences, the Kyoto Prize, and the Canada Gairdner International Award. In 2015, he was awarded the Queen Elizabeth Prize for Engineering, the world’s largest engineering prize. 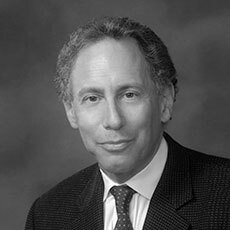 Langer is a member of the National Academy of Medicine, the National Academy of Engineering, and National Academy of Sciences, and the National Academy of Inventors. He is the most cited engineer in history (H-Index: 264). He earned a BS from Cornell University and an ScD from MIT. Andrew W. Lo is the Charles E. and Susan T. Harris Professor at MIT Sloan School of Management, director of the MIT Laboratory for Financial Engineering, and a principal investigator at the Computer Science and Artificial Intelligence Laboratory. His research interests are in evolutionary models of investor behavior and adaptive markets, systemic risk, hedge fund industry dynamics, and health care finance. Lo’s awards include an Alfred P. Sloan Foundation Fellowship, a Guggenheim Fellowship, the Paul A. Samuelson Award, the 2017 Risk Manager of the Year by the Global Association of Risk Professionals, inclusion on Time’s 100 Most Influential People in the World list, and several teaching awards. He earned a BA in economics from Yale University and an AM and PhD in economics from Harvard University. Aleksander Mądry is an associate professor of computer science at MIT. He is also a principal investigator in the Computer Science and Artificial Intelligence Laboratory, where he leads the Trustworthy AI Initiative. Prior to joining the MIT faculty, he worked at Microsoft Research New England and was a faculty member at École polytechnique fédérale de Lausanne. His research interests span and connect a broad spectrum of fields, from algorithms and continuous optimization, to the science of deep learning and the understanding of machine learning from a robustness perspective. His work has been recognized with a number of awards, including a National Science Foundation CAREER award, an MIT Sloan Research Fellowship, a 2011 ACM Doctoral Dissertation Award Honorable Mention, and a 2018 EATCS Presburger Award. Mądry earned a PhD from MIT. Robert B. Millard is the 11th chair of the MIT Corporation. He was elected to the MIT Corporation in 2003 and became chair in 2014. He has been a member of the Visiting Committees for Physics, Architecture, Chemistry, and Philosophy and Linguistics. He also served as the chair of the MIT Investment Management Company, which manages MIT’s endowment. He is cofounder and former chair of the board of L3 Technologies, a major defense technology company. He currently serves as L3’s lead director. In addition, he is a director of Evercore, an international investment bank, and a former partner of Lehman Brothers. Millard is a member of the Council on Foreign Relations and serves on the External Advisory Council of NYU’s Global Institute for Advanced Study. He is a fellow of the American Academy of Arts and Sciences and a board member of the American Association for the Advancement of Science. Millard attended MIT as an undergraduate and holds an MBA from Harvard Business School. He is married to Bethany Millard and has four children, and he lives in Cambridge and New York. 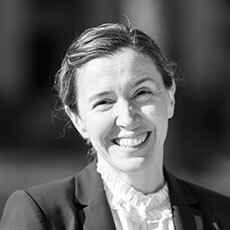 Melissa Nobles is the Kenan Sahin Dean of the MIT School of Humanities, Arts, and Social Sciences and a professor of political science. Previously, she was head of the Department of Political Science, where she oversaw the establishment of a new research program, the MIT Governance Lab. 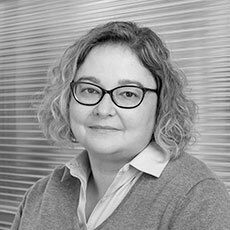 Her international comparative research focuses on retrospective justice in light of ethnic and racial conflicts. Nobles is the author of two books, Shades of Citizenship: Race and the Census in Modern Politics and The Politics of Official Apologies. She is also involved in faculty governance at MIT and beyond, serving as associate chair of the MIT faculty from 2007–2009, and vice president of the American Political Science Association. Nobles earned a BA in history from Brown University and an MA and a PhD in political science from Yale University. 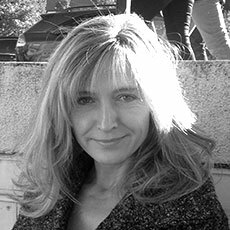 Aude Oliva is the executive director of the MIT–IBM Watson AI Lab and The MIT Quest for Intelligence. She is also a principal research scientist at the Computer Science and Artificial Intelligence Laboratory. She formerly served as an expert to the National Science Foundation, Directorate of Computer and Information Science and Engineering. Her research interests span computer vision, cognitive science, and human neuroscience. She was honored with the National Science Foundation CAREER Award, a Guggenheim Fellowship, and the Vannevar Bush Faculty Fellowship. She earned a MS and PhD in cognitive science from the Institut National Polytechnique de Grenoble, France. Neri Oxman is a designer, inventor, and an associate professor of media arts and sciences at the MIT Media Lab. 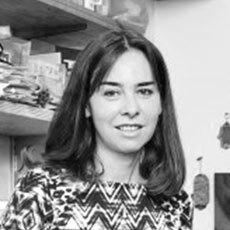 She is the founding director of the Mediated Matter group, an experimental design practice combining commissioned works with the creation of enabling technologies and scientific knowledge. The group conducts research at the intersection of computational design, digital fabrication, materials science, and synthetic biology; and applies that knowledge to design across disciplines and scales—from the microscale to the building scale. Oxman pioneered the field of material ecology, which studies relationships and outlines interactions between designed objects and structures and their environs. Unlike the Industrial Revolution, which was ecology-agnostic, this new approach tightly links objects of design to the natural environment. Oxman’s work—documented in more than 150 scientific publications and inventions—is in the permanent collections of MoMA, SFMOMA, Pompidou, MFA, and the Cooper Hewitt, Smithsonian Design Museum, among others. Since 2005, Oxman and her team have won numerous awards and have grown in international scope and acclaim. Among Oxman’s awards are the London Design Innovation Medal (2018) and the Cooper Hewitt National Design Award (2018). Most recently, Oxman was the recipient of the International Fellowship by the Royal Institute of British Architects (2019). Becky Quick is co-anchor of “Squawk Box” and is the anchor of the nationally syndicated “On the Money.” She is known for her hard-hitting interviews and profiles of some of the world’s richest and most influential investors, including Warren Buffett, Bill Gates, Alan Greenspan, T. Boone Pickens, Jamie Dimon, and Charlie Munger. She also has interviewed three United States presidents and has hosted panels at some of the most prestigious conferences in the world, such as the Microsoft CEO Conference, Fortune’s Most Powerful Women’s Conference, and the Allen & Co. Sun Valley Media Conference. Quick also authors a regular column for Fortune and contributes to CNBC.com. Previously, Quick, a seven-year veteran of The Wall Street Journal, covered the Wall Street beat for CNBC as part of the network's partnership with Dow Jones. Quick previously served on the board of the Robert Wood Johnson University Hospital and earned a bachelor’s degree from Rutgers University. Katie Rae serves as the CEO and managing general partner of The Engine. She is also the co-founder and managing director of Project 11 Ventures. Rae serves on the board of Commonwealth Fusion Systems, Form Energy, Via Separations, and Cellino. She has advised hundreds of founders and invested in nearly 100 companies at the earliest stages of formation. Key investments include Pillpack (acquired by Amazon for $1 billion), Bevi, GrabCad, Synack, Zagster, NBD Nano, Neurala, and Amino. Rae has experience in managing startup accelerators and business-innovation programs—several of which she co-founded, including Techstars Boston and Startup Institute. 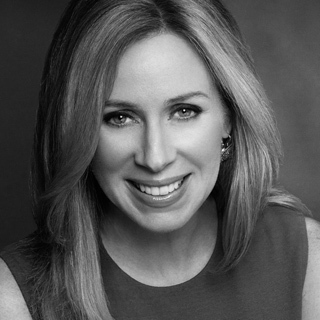 In addition to her extensive investing career, she has over 20 years of experience in management and operations, including holding management positions at Microsoft, Eons, AltaVista, RagingBull, Zip2, and Mirror Worlds. She earned a BA in biology from Oberlin College and an MBA from Yale University. 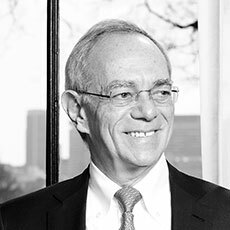 L. Rafael Reif is the 17th president of MIT. During his tenure, he has fostered the growth of MIT’s nonprofit online platform, edX, and helped MIT pioneer the role that online learning and credentials will play in the future of higher education. Reif created the MIT Innovation Initiative; established the Environmental Solutions Initiative, the Abdul Latif Jameel World Education Laboratory, the Abdul Latif Jameel World Water and Food Systems Lab, and the Abdul Latif Jameel Clinic for Machine Learning in Health; issued the MIT Plan for Action on Climate Change; and launched The Engine, a specialized “tough tech” accelerator. Other key priorities for Reif include the Kendall Square Initiative, an ambitious redevelopment plan powered by MIT, the MIT–IBM Watson AI Lab, The MIT Quest for Intelligence, and the MIT Stephen A. Schwarzman College of Computing, the most significant reshaping of MIT since the 1950s. A faculty member since 1980, Reif also serves as a freshman advisor and is a passionate advocate for students. 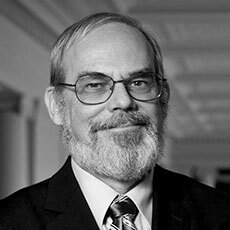 Reif is an elected member of the National Academy of Engineering. Born in Venezuela, he earned a PhD in electrical engineering from Stanford. He received honorary doctoral degrees from the Chinese University of Hong Kong and Tsinghua University in Beijing. Israel Ruiz is the executive vice president and treasurer of MIT. He is the Institute’s chief financial officer and as a trustee of the MIT Corporation and a member of its executive committee, is the chief steward of $21.5 billion of MIT’s financial assets and $3.6 billion in operating revenues. He is responsible for administering the Institute’s $5 billion capital plan through 2030. With a strong understanding of MIT’s innovation ecosystem and future technology trajectories, Ruiz co-led the rezoning effort of Kendall Square in 2013 with an eye toward creating the ideal environment to accelerate the process of moving ideas from lab to market. He continues to actively co-lead the Kendall Square development process through its complex execution phase, expected to last beyond 2020. To further improve the innovation ecosystem around MIT in Kendall Square, he played a pivotal role in conceptualizing and launching The Engine, built by MIT, to help founders create the next generation of world-changing “tough tech” companies. He serves as chair of its board. Under the leadership of MIT President L. Rafael Reif and together with Provost Martin Schmidt and School of Engineering Dean Anantha Chandrakasan, Ruiz worked decisively to bring the transformative idea of the MIT Stephen A. Schwarzman College of Computing to life. Ruiz earned a degree in industrial engineering from the Polytechnic University of Catalonia and an SM from MIT. 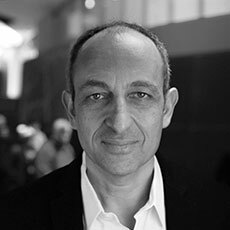 Hashim Sarkis is the dean of the MIT School of Architecture and Planning. 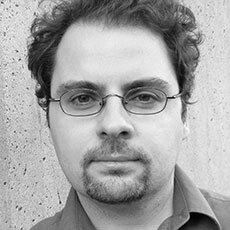 An architect, educator, and scholar, he is also the principal of Hashim Sarkis Studios in Boston and Beirut. 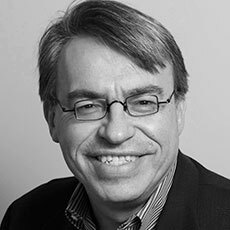 He was previously the Aga Khan Professor of Landscape Architecture and Urbanism at Harvard University and has also taught at the Rhode Island School of Design, Yale University, the American University of Beirut, and the Metropolis Program in Barcelona. Sarkis was recently appointed curator of the 17th International Architecture Exhibition at the 2020 Venice Biennale. He is the author and editor of several books and articles on modern architecture history and theory, including Josep Lluis Sert, The Architect of Urban Design; Circa 1958, Lebanon in the Projects and Plans of Constantinos Doxiadis; and Le Corbusier's Venice Hospital. Sarkis earned a BA in architecture and a BA in fine arts from the Rhode Island School of Design and an MA and a PhD in architecture from Harvard University. 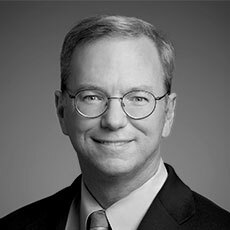 Eric Schmidt is a technical advisor to Alphabet Inc., where he advises its leaders on technology, business, and policy issues. Schmidt joined Google in 2001 and helped grow the company from a Silicon Valley startup to a global leader in technology. He served as Google’s CEO from 2001 to 2011 and executive chairman from 2011 to 2018, alongside founders Sergey Brin and Larry Page. Under his leadership, Google dramatically scaled its infrastructure and diversified its product offerings while maintaining a strong culture of innovation. Stephen A. Schwarzman is the chairman, CEO, and cofounder of Blackstone, one of the world’s leading investment firms. In both business and philanthropy, he has dedicated himself to tackling big problems with transformative solutions. In 2013, he founded Schwarzman Scholars, a fellowship program at Tsinghua University to educate future leaders about China. At more than $575 million, it is the single largest philanthropic effort in China’s history coming largely from international donors. Other major gifts include $350 million to establish the MIT Schwarzman College of Computing, $150 million to establish a first-of-its-kind student center at Yale University and $100 million to support the New York Public Library. Schwarzman has been named to TIME’s “100 Most Influential People” list and Forbes’s list of the “World’s Most Powerful People,” among other recognitions. He is a member of the Council on Foreign Relations, the Business Council, the Business Roundtable, and the International Business Council of the World Economic Forum, and he is the former chairman of the Kennedy Center. Schwarzman earned a BA from Yale University (’69) and an MBA from Harvard Business School (’72). Phillip A. Sharp is an Institute Professor at the David H. Koch Institute for Integrative Cancer Research at MIT. In 1993 he shared the Nobel Prize in Physiology or Medicine for the discovery of split genes and in 2004 he was awarded the National Medal of Science. Sharp has authored more than 400 papers. He cofounded Biogen and served on its board for 29 years. In 2002, he cofounded Alnylam Pharmaceuticals and continues to serve on its board. He is chair of the scientific advisory committee of Stand Up to Cancer and a proponent of Convergence, the engagement of engineering, computational, and physical sciences in biomedical science. He is an elected member of the National Academy of Sciences, the Institute of Medicine, the American Academy of Arts and Sciences, the American Philosophical Society, and the Royal Society, UK. Among his many awards are the Gairdner Foundation International Award, the Lasker Basic Medical Research Award, and the National Medal of Science. His long list of service includes the presidency of the AAAS (2013) and chair of the Scientific Advisory Committee, SU2C Project, AACR. Sharp earned a BA from Union College and a PhD in chemistry from the University of Illinois, Champaign-Urbana. 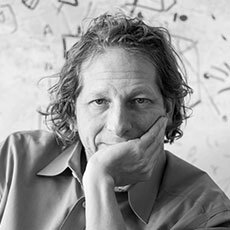 David Siegel is a computer scientist, entrepreneur, and philanthropist. He was drawn to computer science and programming at a young age, which sparked a lifelong passion for building intelligent computational systems, reflecting the belief in technology’s potential to improve virtually every human endeavor. He is co-chairman of Two Sigma, which he co-founded in 2001 on the belief that innovative technology and data science could help discover value in the world’s data. The company manages $59 billion in assets with 1,500 employees worldwide. David believes that education, science, and technology are keys to a better world, and founded Siegel Family Endowment in 2011 to pursue his philanthropic interests, supporting organizations that will understand and shape the impact of technology on society. He devotes significant time to board service, including as a member of the MIT Corporation, where he has helped to shape the direction of The Quest as a founding advisor. David has an undergraduate degree from Princeton, and earned a PhD in computer science from MIT, where he conducted research at the Artificial Intelligence Laboratory. Susan S. Silbey is the chair of the faculty at MIT; the Leon and Anne Goldberg Professor of Humanities, Sociology, and Anthropology in the School of Humanities Arts and Social Sciences; and a professor of behavioral and policy sciences in the Economic Sociology group and Institute for Work & Employment Relations at MIT Sloan School of Management. Silbey conducts empirical research on how law works, tracking formal legal doctrine in statutes, regulations, and judicial opinions from enactment through implementation, and ultimately to citizens’ experiences and interpretations of those laws. Prior to joining MIT, Silbey was a sociology professor at Wellesley College for 26 years. She is the recipient of numerous prizes and awards for her research, including several best article prizes from the American Sociological Association. Silbey earned a BA from CUNY Brooklyn College and PhD from the University of Chicago, both in political science. 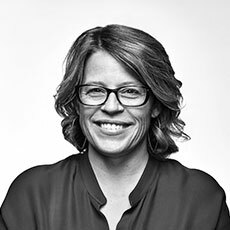 Megan Smith is an award-winning entrepreneur, engineer, and tech evangelist. She recently created shift7, a company driving tech-forward innovation for faster, scaled impact. Smith served as the third United States chief technology officer, helping President Obama and his teams harness the power of data, innovation, and technology on behalf of the nation. Smith was previously a vice president at Google, leading new business development in which she managed early-stage partnerships, pilot explorations, and technology licensing across the global engineering and product teams. She led the acquisitions of Google Earth, Maps, and Picasa and was later a vice president at Google[x], where she co-created SolveForX and Women Techmakers. 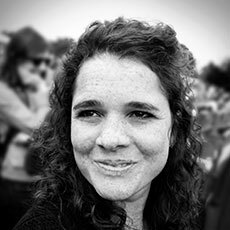 Smith is an advisor to the MIT Media Lab, Vital Voices, Think of Us, and the Malala Fund, which she cofounded. She is a member of the National Academy of Engineering. Smith earned a BS and an MS in mechanical engineering from MIT, where she serves as life member of the MIT Corporation. Vivienne Sze is an associate professor of electrical engineering and computer science at MIT. 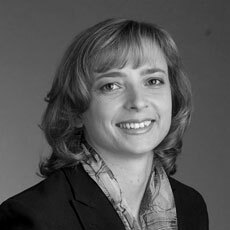 She is also the director of the Energy-Efficient Multimedia Systems research group at the Research Lab of Electronics. 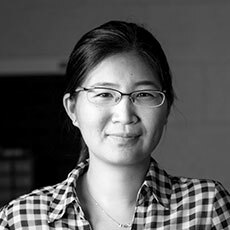 Sze works on computing systems that enable energy-efficient machine learning, computer vision, and video compression/processing for a wide range of applications, including autonomous navigation, digital health, and the internet of things. As a member of the JCT-VC team, she received the Primetime Engineering Emmy Award for the development of the HEVC video compression standard. She is also a recipient of the Air Force Young Investigator Research Program Award and the DARPA Young Faculty Award. Sze earned an SM and a PhD in electrical engineering and computer science from MIT. Xiao’ou Tang is the founder of SenseTime, a leading artificial intelligence company focused on computer vision and deep learning, and a professor in the Department of Information Engineering at the Chinese University of Hong Kong. 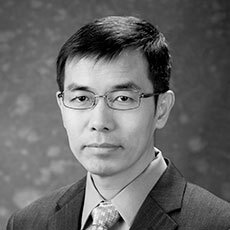 He also serves as the associate director of the Shenzhen Institute of Advanced Technology of the Chinese Academy of Science. Tang is a board member of Malaysia’s sovereign wealth fund Khazanah Nasional Berhad. He was a program chair of the Institute of Electrical and Electronics Engineers International Conference on Computer Vision in 2009 and a general chair in 2019. He currently serves as the editor-in-chief of the International Journal of Computer Vision. His work on facial recognition became the first facial recognition algorithm to surpass human performance. It was awarded the Outstanding Student Paper Award by the Association for the Advancement of Artificial Intelligence Conference in 2015. An IEEE Fellow, Tang earned a BS from the University of Science and Technology of China, an MS from the University of Rochester, and a PhD from MIT. Joshua B. Tenenbaum is a professor of computational cognitive science at MIT, a researcher at the Center for Brains, Minds and Machines, and an investigator at the Computer Science and Artificial Intelligence Laboratory. He also serves as the scientific director of the core for The MIT Quest for Intelligence. Tenenbaum works actively in artificial intelligence, believing that if we can build machines that learn, see, think, and act in more human-like ways, this will lead to more useful and beneficial AI systems. 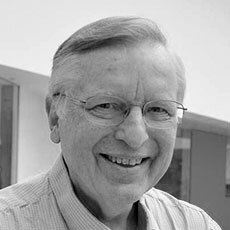 Tenenbaum’s awards include the Distinguished Scientific Award for Early Career Contribution to Psychology from the American Psychological Association and the Troland Research Award from the National Academy of Sciences. He was also honored as the 2018 Innovator of the Year by R&D Magazine. Tenenbaum earned a BA from Yale University and a PhD in brain and cognitive sciences from MIT. Antonio Torralba is a professor of electrical engineering and computer science at MIT and a principal investigator at the Computer Science and Artificial Intelligence Laboratory. He is also the MIT director of the MIT–IBM Watson AI Lab and the inaugural director of The MIT Quest for Intelligence. 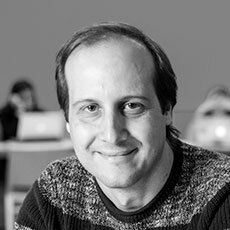 Torralba researches computer vision, machine learning, and human visual perception, with an interest in building systems that can perceive the world the way humans do. He was honored with a National Science Foundation CAREER award, the J.K. Aggarwal Prize from the International Association for Pattern Recognition, the Frank Quick Faculty Research Innovation Fellowship, and the Louis D. Smullin (’39) Award for Teaching Excellence. Torralba earned a BS from Telecom BCN, Spain, and a PhD from the Institut National Polytechnique de Grenoble, France. He did his postdoctoral work at MIT. 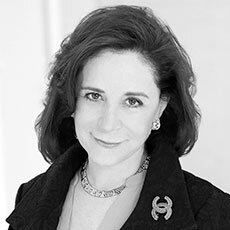 Sherry Turkle is the Abby Rockefeller Mauzé Professor of the Social Studies of Science and Technology in the Program in Science, Technology, and Society at MIT. She is also the founding director of the MIT Initiative on Technology and Self. Her most recent book is the New York Times best seller, Reclaiming Conversation: The Power of Talk in a Digital Age. Previous books include a trilogy that documents the rise of digital culture: The Second Self: Computers and the Human Spirit; Life on the Screen: Identity in the Age of the Internet; and Alone Together: Why We Expect More from Technology and Less from Each Other. She is a recipient of a Guggenheim Fellowship, a Rockefeller Humanities Fellowship, and the Centennial Medal from Harvard University. She also is a member of the American Academy of Arts and Sciences. Her TED Talk, “Connected but Alone,” has been viewed more than five million times. Turkle earned a PhD in sociology and personality psychology from Harvard University. She is a licensed clinical psychologist. 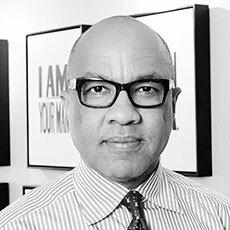 Darren Walker is president of the Ford Foundation, an international social justice philanthropy with a $13 billion endowment and $600 million in annual grant making. For two decades, he has been a leader in the nonprofit and philanthropic sectors. Darren led the philanthropy committee that helped bring a resolution to the City of Detroit’s historic bankruptcy and chairs the US Impact Investing Alliance and co-chairs New York City’s Mayoral Advisory Commission on City Art, Monuments, and Markers. He serves on the Commission on the Future of Rikers Island and the International Labor Organization Global Commission on the Future of Work. Walker also serves on the boards of Carnegie Hall, the High Line, and the Committee to Protect Journalists. He is a member of the Council on Foreign Relations and the American Academy of Arts and Sciences. Sarah E. Williams is the Homer A. Burnell Career Development Chair of Technology and Urban Planning at MIT, where she directs the Civic Data Design Lab. Her research uses data analytics, sensors, and interactive design strategies to communicate and change urban policies. Williams has been recognized as a Top 25 Thinker at the Intersection of Planning and Technology by Planetizen and a Game Changer by Metropolis Magazine. Her design work has been widely exhibited, including at the Solomon R. Guggenheim Museum; The Museum of Modern Art, New York; and the La Biennale di Venezia. Her current exhibition, The Road Ahead: Reimagining Mobility, is on view at the Cooper Hewitt, Smithsonian Design Museum in New York City through March 2019. Williams earned a BA from Clark University, studied landscape architecture at the University of Pennsylvania, and earned an MCP from MIT. Patrick H. Winston is the Ford Professor of Engineering at MIT. He is principal investigator at the Computer Science and Artificial Intelligence Laboratory and at the Center for Brains, Minds and Machines. He previously served as director of the Artificial Intelligence Laboratory from 1972 to 1997. Winston’s research integrates work from several allied fields, including artificial intelligence, computer science, neuroscience, cognitive science, linguistics, and paleoanthropology. He has founded, served as board member of, and advised several companies. Currently, he is the chairman and cofounder of Ascent Technology Inc., a company that develops products that solve complex resource-planning, resource-scheduling, resource-allocation, and situation-assessment problems. He earned a BS and an SM in electrical engineering and a PhD in computer science, all from MIT.